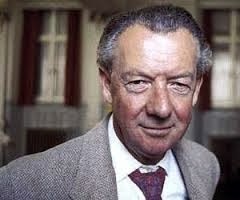 Few music lovers in Britain will have been unaware that yesterday marked the centenary of the birth of Benjamin Britten. Even from the remote outpost of former empire, thousands of miles from the UK, where I’m currently based, distant echoes of Britten celebrations reached me - by courtesy of the inbuilt radio of my Smartphone which, from the day I bought it, has saved my sanity more than once with its ability to pick out the great radio stations of the world. An eight hour time difference, the need to sleep and the obligations of a full working day meant that, unfortunately, all I heard of what BBC Radio 3 was putting on for the day were small trailers, but even that was better than the soprano sax hideously wailing a kind of moronic keening vaguely related to once beautiful Christmas Carols which invades every corner of my hotel. One trailer included the phrase; “Benjamin Britten was England’s greatest composer”. Long gone are the days when a Radio 3 commentary offered mildly scholarly information delivered with impersonal authority. In place has come a colloquial chattiness which places personal opinion over factual statement. I have to admit I quite like it, even if I still yearn for the days of Patricia Hughes and the sense of unambiguous superiority she brought to the role (if she said it, it HAD to be true). So when a voice on Radio 3 tells me that “Benjamin Britten was England’s greatest composer”, I don’t accept this as fact but rather as a statement of opinion. In my lectures, talks and writings I frequently do exactly the same thing; make a bald statement of apparently unarguable fact so outrageous and extreme that those who hear or read it are driven to question it and, hopefully, create an argument during which ideas are shared and opinions formulated or modified. It matters to me that people think and talk about music, and argue over it; it keeps it alive and fresh in people’s minds, and shows that it still matters to us. Told that “Benjamin Britten was England’s greatest composer”, I immediately start to dispute the statement. Very few composers in history have polarised opinions among music lovers more than Britten. There are those who regard him as, unquestionably, one of the truly great composers of the last century, and others who find in his music nothing of any interest or value. A discussion in a bar after a concert (in which the Cello Symphony had been performed) led one of those present to challenge us to “show me one real tune Britten ever wrote”, claiming that all good melodies in Britten came from other composers (Folk Song settings, Purcell Variations, Frank Bridge Variations, and so on). Britten is either regarded as “great” or “terrible”, and comparatively few people seem to take the middle ground. Putting my cards firmly on the table, I must say that Britten is by no means a composer whose music I consistently like or even admire. I cannot find it in me to enthuse over the War Requiem or Albert Herring, while most of the purely instrumental works leave me cold; the fact that I once attempted to foist the dire Prelude and Fugue on a Theme of Vittoria on an unsuspecting audience sends me into a cold sweat. I recognise the touches of genius in Peter Grimes and the Sinfonia da Requiem, although neither work is one for which I have any affection, but I do profess a personal liking for the Rejoice in the Lamb, the Variations on a Theme of Frank Bridge and many of the folk song settings. Generally, though, I look with indifference on the 105 CDs I have in my personal collection which feature Britten, and rarely, if ever, taken them off the shelf purely for listening pleasure. Personal dislike is one thing, and mine certainly has no bearing on whether or not Britten was “the greatest English composer”. But the very fact that someone went so far as to make that claim has me trying to find an alternative name to knock Britten off that elevated perch. 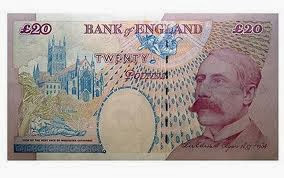 What of Elgar? Certainly his Enigma Variations and Cello Concerto have far wider appeal and seem to get far more frequent performances than any orchestral work by Britten, while The Dream of Gerontius certainly gives the War Requiem a run for its money. And while we can dismiss a lot of Elgar as being too flavoured by English patriotism to have much relevance to the international music-loving public, that same charge could certainly be levelled against at least some of Britten’s music (notably Gloriana). Evens pretty split there, I think, and I would not like to argue the case for Elgar too strongly, much as I prefer a lot of his music to Britten’s. 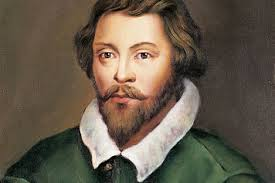 There are many who would (and do) proclaim William Byrd as “the greatest English composer”. The trouble is, his music resonates only with a relatively small and select group of musicians, and while wide appeal does not, in itself, confer greatness, it has to be taken into consideration. So what about Henry Purcell? Frequently Britten is listed as “the greatest English composer since Purcell”, implying that the two are, at the very least, on a par with each other. I would be more willing to press Purcell’s claim, not least because Dido and Aeneas has to be in a league of its own in the opera house, while even Britten held that great tune from Abdelazar in high esteem. Purcell has certainly achieved a greater level of popularity in our own time than almost any other English composer, appearing on a postage stamp and actually making it into the rich tapestry of recent fiction (Diana Norman’s 1994 romp through 17th century London – The Vizard Mask - has Purcell hovering there in a delicious cameo role) and his death - interestingly exactly 218 years before Britten was born - has spawned at least as many legends and conspiracy theories as Mozart’s (I particularly like the story of his wife locking him out of the house overnight and emptying a chamber pot over him – causing him to die from exposure). 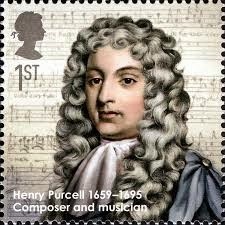 The trouble with Purcell is that his genius was rather stifled by the constraints of his age, and the passage of time has led to much of his original music surviving only out of its proper context. And you can’t fairly judge a composer for good or ill on those terms. 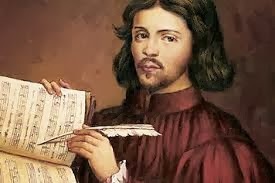 A correspondent to this blog some time ago suggested that Tallis’s 40-part motet, Spem in Alium, is one of the greatest achievements of any human being in the field of music, and I’m inclined to agree. A concert I heard given by The Sixteen recently, which included a sequence of Tallis hymn tunes, only reinforced my very high opinion of him as a truly great composer. And for many church musicians, Orlando Gibbons is a name to be held in awe, even if, like Byrd, his name has not moved very far beyond ecclesiastical musical circles. While I might pass quickly on over my 105 discs of Britten, I invariably linger long and lovingly over the 47 with music by William Walton. Without a scintilla of doubt, I prefer everything by I have heard by Walton to everything I have heard by Britten. My heart races to that tantalising, pulsating start to the First Symphony, sounding like so many F1 cars racing their throttles on the starting grid (albeit in the far distance), and when it does get going, not a moment disappoints. And few, if any musical works, excite, move and simply electrify me like Belshazzar’s Feast. Which, if any, Britten opera so cleverly mingles slapstick humour with high artistic ideals and ingenious musical references as Walton’s The Bear? The Viola Concerto, Façade, the Coronation Te Deum…every one, for me, up there with the greatest music ever written by an Englishman and, unlike both Elgar and Britten, he had the gift of producing patriotic tunes which transcend a patriotic audience. Crown Imperial sends shivers down the spine of even the most ardent republican, while the jazzy whoops of Orb and Sceptre may now seem dated, but they certainly don’t reek of stuffy Englishness. Walton was a film composer par excellence. True, Britten may have been rather limited by his role in providing music for government propaganda films (is Night Mail remembered most for Auden’s words or Britten’s music?) while Walton had the great good fortune to supply music for Laurence Olivier’s Shakespeare movies, but there are passages from Walton’s Shakespeare film scores, not to mention his score for the war-time classic First of the Few, which are probably better known than the films themselves. Walton, though, has never earned much support in academic circles. 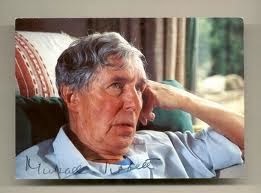 On the other hand the “trendy lefties” of 1970s and 80s musical thought regarded Michael Tippett as their great God, and I remember a wonderful lecture given by Arnold Whittall in which he suggested that the Tippett and Britten (still very much alive in those days) were the major composers of our age. I wonder where his thoughts lie today? Certainly Tippett’s star has dipped some way below the horizon, and I was appalled recently to hear someone promoting A Child of Our Time – for me a work of extraordinary power and vision – on the assumption that it was a forgotten masterpiece. Perhaps she was right, but I keep a flicker of a flame burning for Tippett and would point to The Vision of St Augustine and the Midsummer Marriage as truly great works. We tend to gloss over a whole host of significant composers in our desire to find the “greatest”. Vaughan Williams once carried that label in many people’s eyes, and there are still those who have a profound passion for his symphonies (a passion I, for one, find utterly unfathomable), while for me the really great English symphonists were Bax and, especially, Stanford. The latter may have been Irish, and his symphonies rather more flavoured by Brahms than we could overlook, but his contribution to English music was certainly more deep-seated and profound than Britten’s. A fellow university student urged me to seek out the Symphony in G minor by Moeran, proclaiming it “the greatest ever English symphony”, and for a time I agreed. In fact, I only came to see its flaws when an incredibly dire performance of it was given by the Malaysian Philharmonic Orchestra under Kevin Field, and I began to see that it was a work which relied on an incisive conductor, a cutting-edge orchestra and a sympathetic audience to bring out its glories. And that rather diminishes its stature as a work of universal greatness. Some of the greatest music by English composers certainly eclipses even Britten at his finest. Holst brought something extraordinarily visionary to music with The Planets. Did any composer ever show such a natural affinity with a specific geographical location in his music than Herbert Howells? Could any composer elevate the mundane to the ethereal through a few simple bars than Delius with his “The Walk to the Paradise Garden” near the end of his great opera A Village Romeo and Juliet? These are all examples of great music by English composers. But does this really get us closer to deciding which composer was really the greatest of them all? Of course, it’s not just a pointless exercise, it is also a hugely stupid one. Does anybody ever ask who was the greatest German composer, the greatest Austrian composer, the greatest Italian composer, even the greatest French composer? No. To ask such a question, and certainly to attempt to answer it, is to belittle the whole nation’s music. Britten was unquestionably a superb composer, possibly even a great one, but he would be the last person to diminish all the other composers from Tallis to Tippett by singling one out as special. Over the last 700 years England has bred marvellous composers – there are plenty of them at work at the moment – it would be a devastating indictment on those centuries of achievement to suggest that in all that time, only one truly great one has emerged.